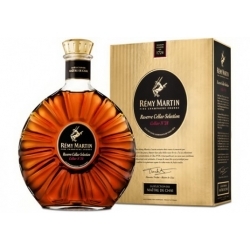 Notes: Produced in the heart of the Cognac region, Rémy only uses grapes grown from the Cognac Grande Champagne and Petite Champagne area for this offering. (Other Rémy products uses different growths and/or proportions of growths for each). 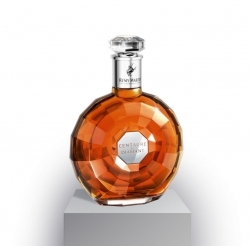 Distilled in small classic alembic charentais copper stills the resulting eau de vie is then aged in Limousin oak in their private cellars and then is carefully blended to profile. Remy offers many different cognacs to fit ones taste and/or budget within their portfolio.Some of the other cognacs from Remy that we have reviewed are the VSOP and their 1989 vintage year release. First Impression: Apricots, figs, apples, vanilla, caramel, leather and oily nuts and some oak. 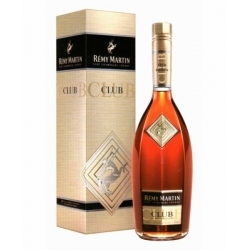 A sweet, concentrated champagne or jam like-like smell to it with an admixture of floral scents. Very distinctive, aromatic with a nice blend of heavier bass notes to it also. Appearance: Attractive red/gold color, leaves thin coat on swirling. Could be mistaken for a bourbon in color. Taste: Sweetish entry, then drying pleasantly. Medium silky body, with a lot of ripe fruit notes, with concentrated almost raisin or ice wine type notes with more pronounced hints of vanilla and oak pepper than their other marques and a lovely somewhat charcoal, vanilla and oak lingering finish. Drinks: We tried the drinks mentioned on the website, all of which we can recommend. Worked well in a Black Pagoda (basically a brandy Manhattan -see Gary Regan's Bartenders Bible) and the whisky like flavor profile made for a wonderful Cognac base for a number of traditional bourbon drinks. Made a lovely Mint Julep also. 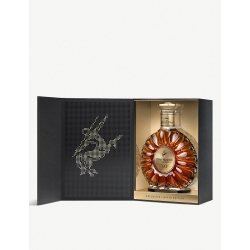 Bottle: Slightly different from their standard production bottle: Simple clear glass cognac bottle (think bell or apple shaped with a long neck), somewhat distinctive with a lozenge shaped medallion stamp on the shoulder with 1738 and the drawing of Centaur hurling a javelin in gold. Parchment colored rectangular label labels and a copper colored neck foil. Real cork closure gives it a nice feel - a number of cognac companies now use screw caps which cheapens the package and presentation. Other: One of the better products in large portfolio of products ranging in age and price. 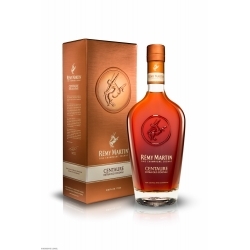 Final Thoughts: A excellent medium to heavy bodied, fruity, aromatic,and slightly spicy cognac that is easy to drink either on its own or also mixes well in cocktails. 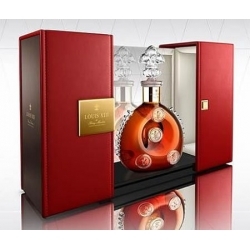 A very good value in terms of price/quality ratio and easy to find almost anywhere. 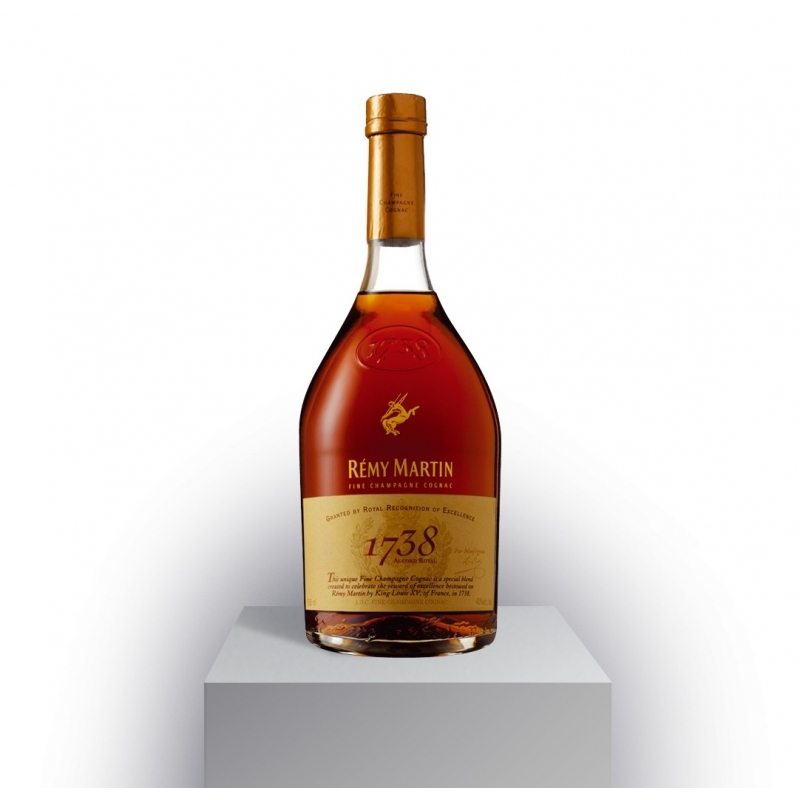 1738 has many of the aroma and taste characteristics that whiskey lovers -be they Scotch , Bourbon or Irish enthusiasts-enjoy so it makes for a great cognac to have in your collection if you like those types of spirits also. Also if I may dare say so, it reminds us somewhat of one of our other favorite brandies , armagnac in the heavier body and lovely aromas.